‘Tis the season to be hoppy – well, it’s the start of it anyhow. 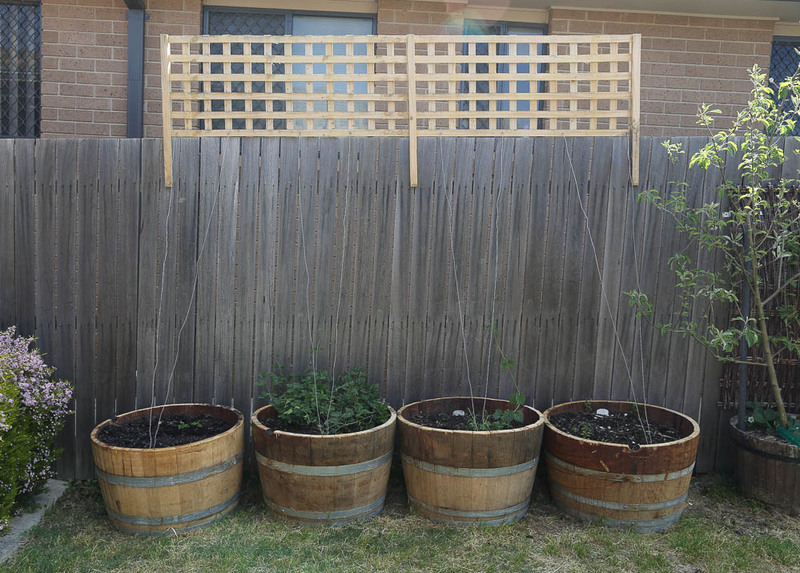 This year I’ve moved the hops from out the side to the backyard to try and get some more sunshine and a better environment for them to grow in, and hopefully a better crop than last year. At the same time by dear wife decided to go and get me a bunch of half-size wine barrels (real ones this time, I think she was drunk from the drive back from the hardware shop from the odours in the wood!) – how good is she! Although they had started to show themselves, I dug them up and transplanted them into their new homes as well as planting the latest addition this year, East Kent Goldings – although I guess Gungahlin Goldings would be more appropriate. They will join the existing Chinook, Pride of Ringwood and Tettnang varieties.